Living room with flat-screen television, DVD player and HiFi set. 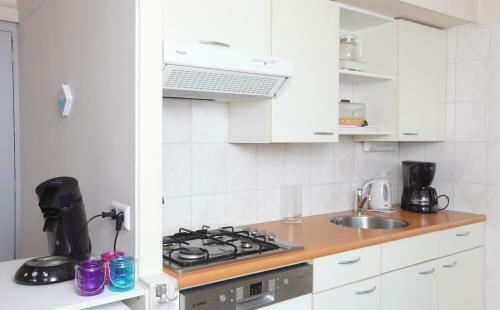 Open-plan kitchen equipped with dishwasher, refrigerator, microwave and Senseo coffee maker. 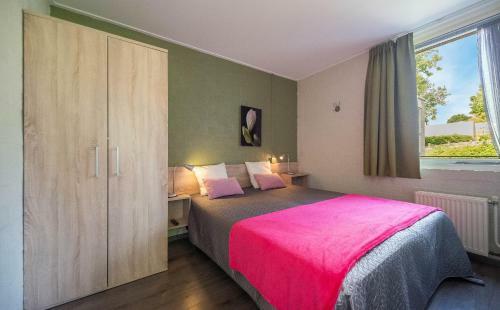 Two bedrooms, each with two single box spring beds. 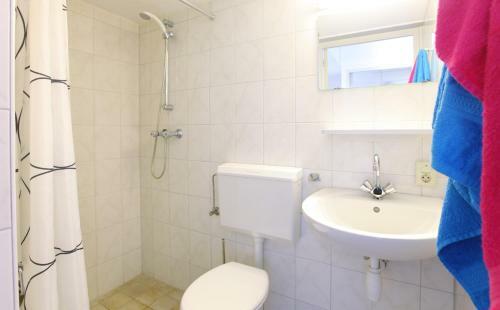 One bedroom has an additional washbasin. Bathroom with shower or shower cabin and toilet. Living room with flatscreen television, DVD player, HiFi set and woodburning stove. 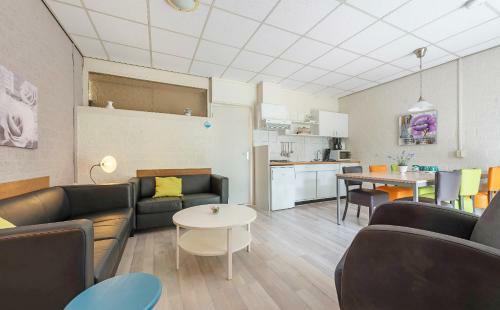 Open-plan kitchen equipped with dishwasher, refrigerator, microwave and Senseo coffee maker. 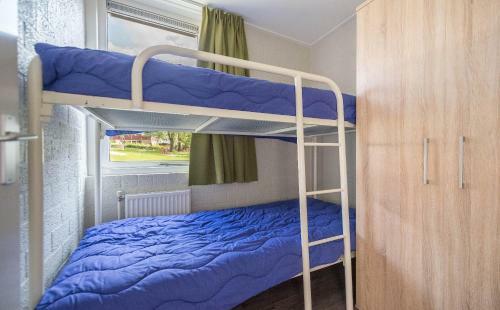 Three bedrooms, two with two single beds each and one with a bunk bed. Bathroom with a shower or shower cabin and toilet. Living room with flat screen television, DVD player and HiFi set. 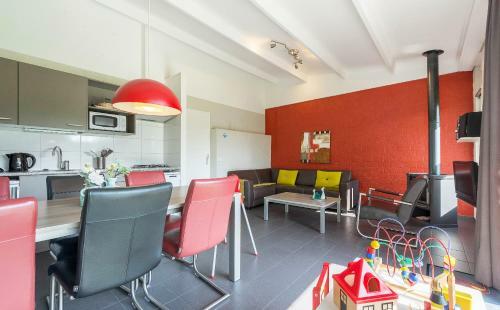 Open-plan kitchen equipped with refrigerator, microwave, dishwasher and Senseo coffee maker. Two bedrooms with two single beds each (box springs). Bathroom with shower or shower cabin and toilet. 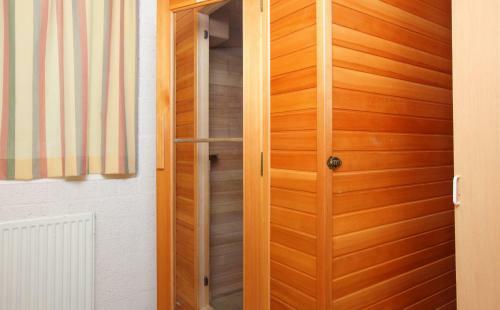 Infra-red sauna. Living room with flat screen television, DVD player, HiFi set and wood burning stove. 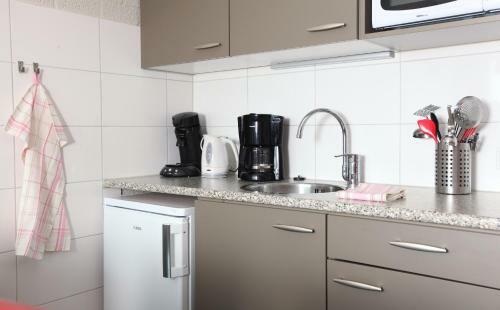 Open-plan kitchen equipped with refrigerator, microwave, kettle, dishwasher and Senseo coffee maker. Three bedrooms of which two have two single box spring beds each, and one has one bunk bed. 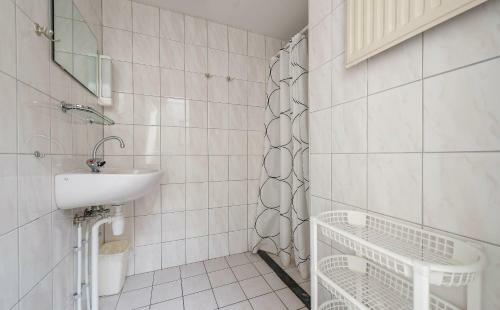 Bathroom with shower or shower cabin and separate toilet. Living room with woodburning stove, flatscreen television, DVD/CD player and toys. Open-plan kitchen equipped with refrigerator with freezer compartment, dishwasher, microwave, Senseo coffee maker and coffee machine. 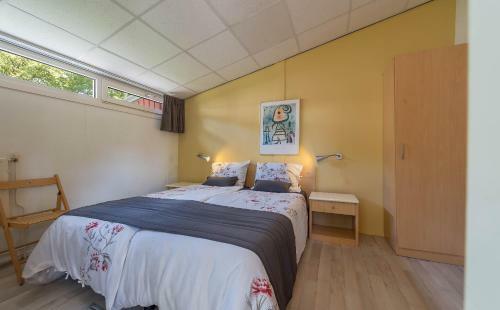 Three bedrooms, of which one features two single box spring beds and an additional television, one features a box bed with a width of 1.20 metres, and one features a built-in children's cot, one single box spring bed and a changing pad. Bathroom with bath and shower or shower cabin. Separate toilet. Storage room. Centrally located near playground. Please note that this accommodation type is pet-free. Living room with woodburning stove, flatscreen television and DVD/CD player. Open-plan kitchen equipped with refrigerator with freezer compartment, dishwasher, microwave, Senseo coffee maker and coffee machine. 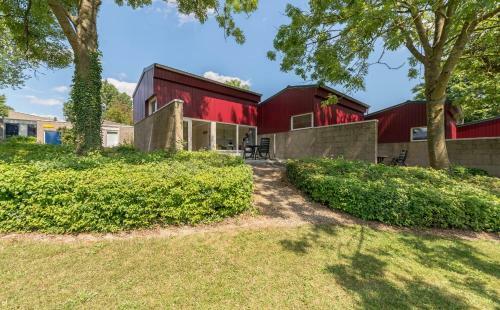 Three bedrooms, of which one has two single box spring beds and an extra television, one has two single box spring beds and one has a bunk bed. Bathroom with bath and shower or shower cabin. Separate toilet. Spacious storage room with charging station for electrically powered bicycles. Please note that this accommodation type is pet-free. 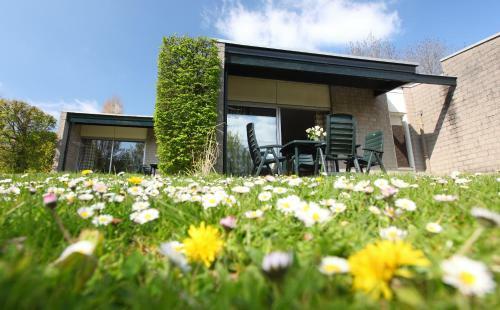 Offering a restaurant, Bungalowpark Schin op Geul is located in Schin op Geul. WiFi access is available at a surcharge in this holiday park. 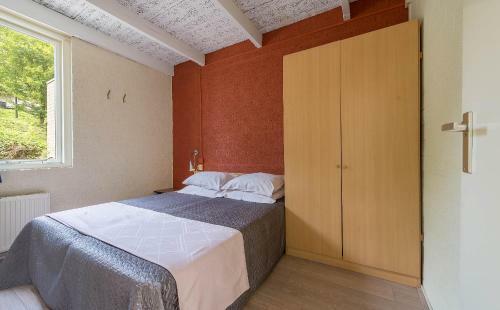 The accommodation will provide you with a TV, a garden and a terrace.There is a well-equipped kitchen with a microwave and a refrigerator.The private bathroom also comes with a bath or shower. 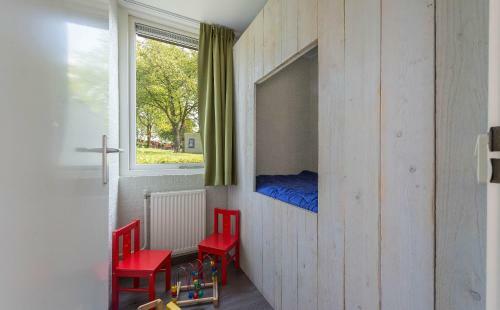 At the car-free Bungalowpark Schin op Geul you will find a children's playground. 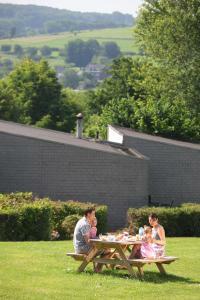 An array of activities can be enjoyed on site or in the surroundings, including bowling. If you feel like visiting the surroundings, check out Maastricht (17 km). 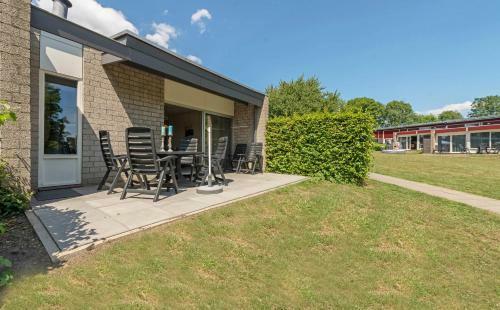 This holiday park is 17.2 km from Maastricht-Aachen Airport. The property offers free parking in front of the resort. 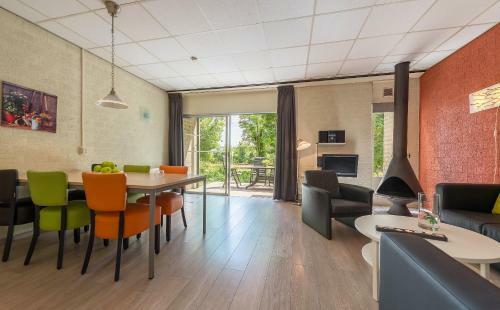 Roompot Vakanties will send a booking confirmation within 24 hours after booking with deposit and payment information. After full payment is taken, the property's details, including the address and where to collect keys, will be emailed to you. If the full amount is not paid before arrival, it may happen that your property is no longer available. Credit card information can be asked to guarantee your booking. These will not be used to collect the payment. Please note that your credit card will be authorised with the amount of the deposit. Please inform us when your expected arrival time is after 5 pm. You can use the Special Requests box when booking, or contact the property directly with the contact details provided in your confirmation. Please note that the final cleaning is mandatory: an extra fee of EUR 50 to EUR 65 will apply. 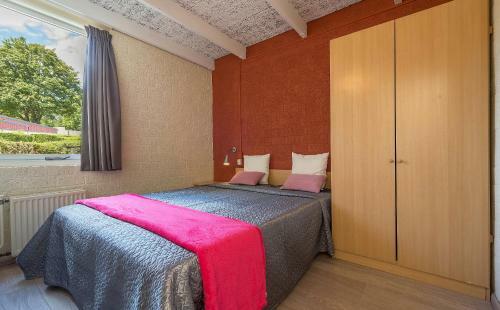 Bed linen are mandatory as well; an extra cost of EUR 7.25 per person will apply. 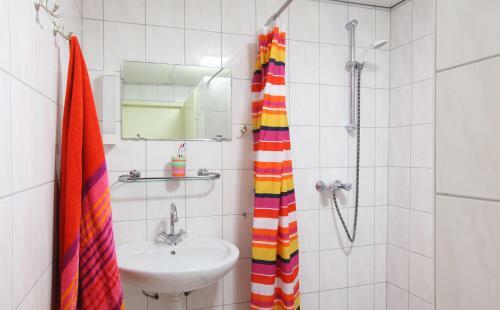 Towels can be rent for EUR 5 per person and kitchen towels for EUR 4.50 per package. Please contact the accommodation before your arrival if you want to book towels. Please note that the person making the booking must be 21 years minimum. Please note that different policies and additional supplements and/or charges may apply for business and long term reservations. 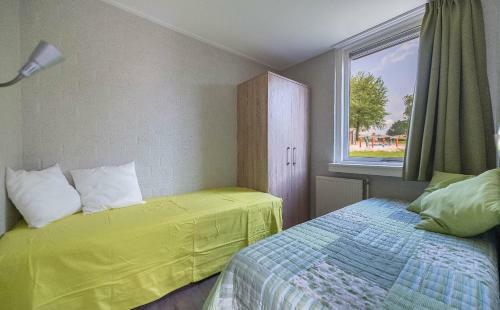 It is not possible to place extra beds and exceed the maximum capacity of the bungalow. Please note that all potential cancellations should be handled via Booking.com. Please note that this park is located within a hilly area. Therefore, the park features several steep roads. 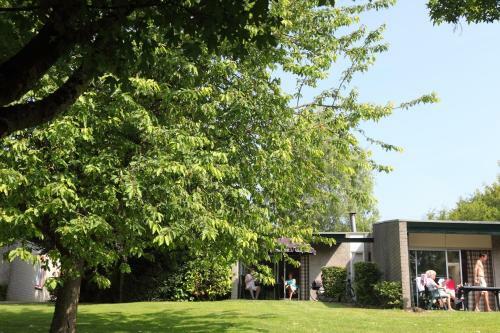 Please note that Bungalowpark Schin op Geul is not accessible to cars. Guests can load and unload their cars at the bungalow on the day of arrival and departure. During the remainder of the stay, guests have the possibility to park their car at the central car park near the reception desk and central facilities. Please note that bungalow furnishings and layouts may differ. Please note that the full amount of the reservation is due before arrival. Roompot Vakanties will send a confirmation with detailed payment information. After full payment is taken, the property's details, including the address and where to collect keys, will be emailed to you. Payment before arrival via bank transfer is required. The property will contact you after you book to provide instructions. Voor fietsers zoals ik perfect gelegen maar verder straalt het park niks uit. 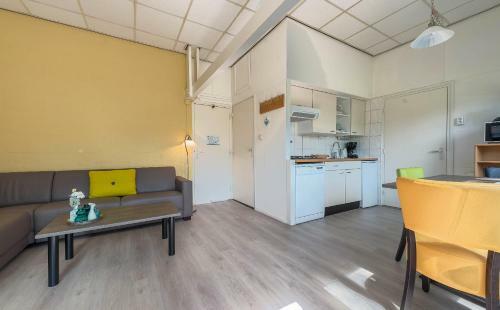 Ruim huisje, wel erg gedateerd. Saai, grauw park, geen gezelligheid. Campingwinkel was zo g i ed als leeg. Onvriendelijk personeel in de winkel. Mooie rustige locatie. Vriendelijk onthaal. 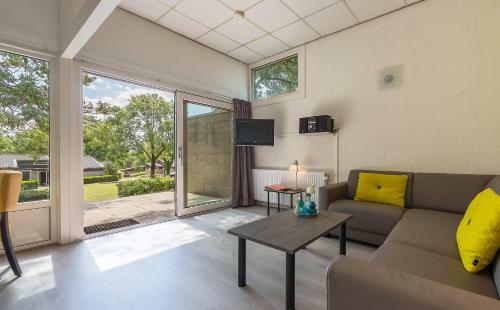 Bungalow verouderd: roestvlekken,.... Vuile toiletborstel net naast douche. Nog voedselresten aan bestek. Je zit overal lekker dichtbij Valkenburg Maastricht. Goedkope locatie dichtbij Valkenburg (grotten) en Landgraaf (Snowworld). We hadden deze locatie als uitvalsbasis nodig, niet om er hele dagen door te brengen. We waren vrijwel iedere dag weg. In de slaapkamerkasten hadden wat meer schappen gemogen. 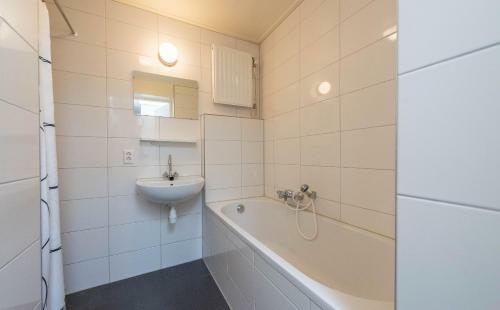 In de badkamer ontbrak opbergruimte. 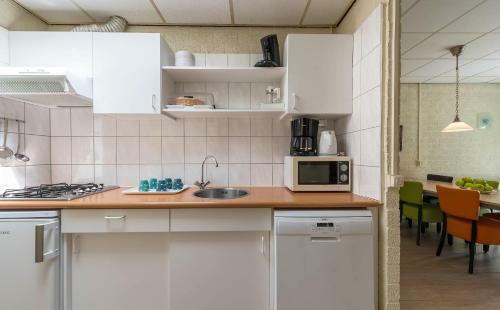 Jammer dat er alleen stroom was bij de wastafel als de badkamerlamp aan was; zonder dat licht was het niet mogelijk om de tandenborstel op te laden. 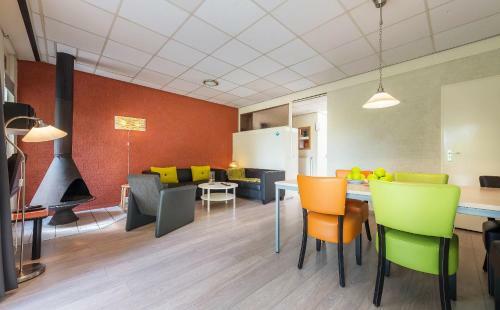 Het huisje erg sober, en park ondanks kerstvakantie erg ongezellig geen kerstsfeer, Winkeltje bijna leeg ! leuke uitvalsbasis voor de kerstmarkten aken valkenburg en maastricht. 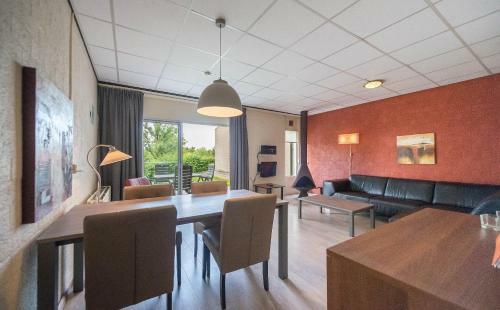 goede bedden , net huisje met alles erin en vrij nieuw. Sehr nette Dame an der Rezeption. Ausstattung des Bungalows. Geweldig park. Wij komen er al 15 jaar. Alleen jammer dat de prijzen zo schrikbarend zijn gestegen.Ik wacht tegenwoordig de last-minute maar af.